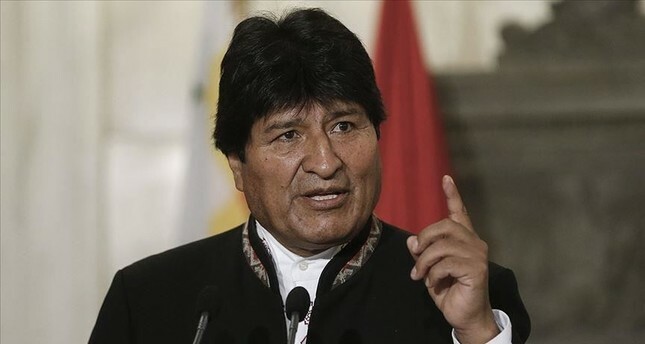 Bolivian President Juan Evo Morales Ayma, the first indigenous president of the South American country, is to pay an official visit to Turkey on Tuesday, according to an official statement. Ayma will visit Turkey at the invitation of President Recep Tayyip Erdogan, said the Turkish Presidential Communications Directorate in a statement. Previously in January, Turkish Vice President Fuat Oktay and Bolivian President Morales met in the Venezuelan capital Caracas where they acknowledged that significant progress had been made in their countries' relations after Turkey opened an embassy in Bolivia last year. The two countries agreed that a Bolivian embassy should be opened in Turkey as well in the first half of 2019.